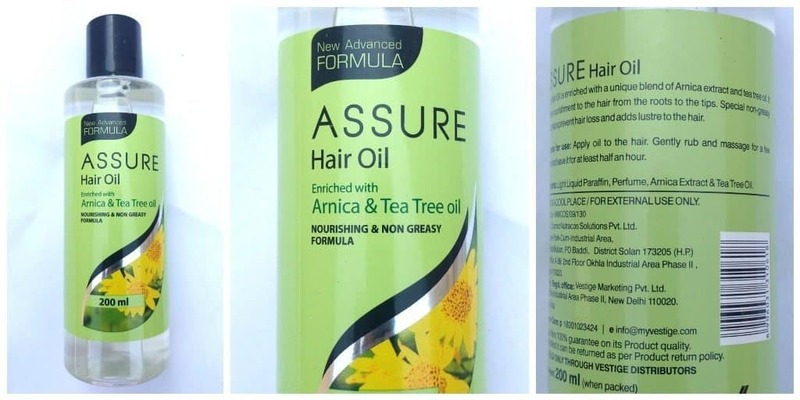 Assure Hair Oil - Is it a good Choice? Home ReviewsBeauty Assure Hair Oil – Is it a good Choice? Who is it for? The new advanced Assure Hair oil is for everyone who wants to nourish their hair from the root. It helps in preventing hair fall; hence one must consider trying Assure Hair Oil Enriched with Arnica & Tea Tree oil to set if it’s worth it. As per the product, apply oil to the hair. Gently rub and minutes and leave it for at least half an hour. The product comes in a clear plastic bottle that is firm enough and won’t get damaged on one or more falls. The hair oil is clear as water. Also very light on application and mild in fragrance. Coming to the effectiveness of the hair oil, it is very effective hair oil. It nourishes the hair from the root to the tips. The hair oil is non-greasy and feels very light on application. It is easy to wash off with a mild shampoo. Since the oil is light and non-greasy, it helps in treating and controlling dandruff. The Assure hair oil helps in fighting and preventing hair fall. The assure hair oil is induced with Arnica and tea tree oil which are very good for the hair. Arnica cleanses the scalp while removing excess oil and provides natural shine to the hair. Thus, this is a very good combination for hair. Also due to the presence of Arnica and tea tree, this is a great oil for dry, rough hair. Seeing the benefits it has had on my roomie, I will definitely recommend it to people out there to try it once and check for themselves if the assure hair oil is what it claims to be. Assure Shampoo – Is it Any good ?